Yamaha AC3R Review – Is This Guitar Worth It? As far as history is concerned, we can tell that Yamaha is not a huge fan of launching an entirely new series of acoustic guitars just for the hype’s sake. Instead, it is capitalizing on its old yet more established lineups, such as the FG, APX/CPX, and L ranges, improving these models and bringing a fresh take out of its catalog. When they introduced the A series several years ago, nothing much has changed, but for good reason. The A series (#5Series, #3Series, and #1Series) are all cutaway acoustic guitars, a hybrid of sorts of the existing lineups. One strong standout is the Yamaha AC3R, a concert guitar perfectly crafted from the ground up for travel and performance purposes. It is designed for advanced users. But does it live up to their expectations? Find out. 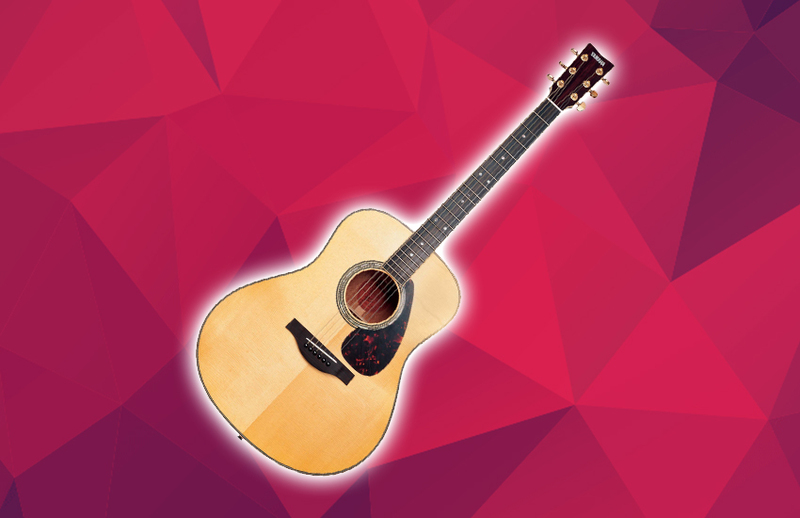 The Yamaha AC3R boasts a solid Sitka spruce top and solid rosewood back and sides, which both went through Yamaha’s original A.R.E. wood-torrefaction technology. 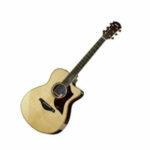 Holding the guitar, the first thing you will notice about the Yamaha AC3R the smoothness of the neck. The cosmetics look clean and gorgeous, with the natural wood binding and pretty rosette being seamless. This guitar features a concert body cutaway and an SRT (Studio Response Technology) mic-imaging blender system for performances on the stage. The SRT pickup system is placed under the saddle, integrating six individual piezo elements on a wide ribbon strip. It gives out a dynamic plugged-in tone and stage-ready simplicity. This is a flexible system that gives you the power to mess around with a broad spectrum of different tones right at your fingertips. Thrown into the mix is a Focus/Wide switch that allows you to control the distance of the mic model as well as a Resonance knob that optimizes the low end. Sure, there are an awful lot of controls to play with, and that actually makes it harder for beginners to play with it for the first few tries. What more, Yamaha’s lauded AFR feedback reduction and an onboard tuner are there to improve everything at your level. Inside the body is a scalloped bracing that allows for a louder and richer acoustic output. The lower registers as well as action make chording convenient and really allows you to enjoy one-note lines. When it comes to the tone, the Yamaha AC3R brings forth an extremely pleasant top end and a pronounced midrange. This results in its ability to cut in a satisfying way, giving a vibe that is more classic than modern. The sound stands out well enough to tell it is the concert, although it cannot compete with a full-size dreadnought in terms of acoustic volume. The Verdict: Should You Buy Yamaha AC3R? Basically, you can’t go wrong with Yamaha guitars. In conclusion, the Yamaha AC3R is a satisfactorily good concert guitar that is perfect for advanced and pro players who are yearning for a flexible and versatile guitar to add to their arsenal. It is convenient to use, and the tones available is insane. Overall, we highly recommend the Yamaha AC3R, any day.